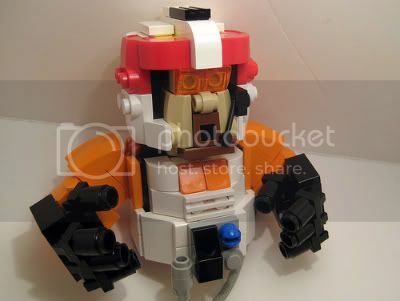 From Boba Fett to a Bantha, there isn’t a character, beast, or being from the Star Wars universe that Mike Crowley of CountBlockula hasn’t built into its uncanny LEGO likeness. But for whatever reason, it’s the LEGO Porkins figure that really speaks to me. I mean, it speaks to me in the overly-officious voice of a portly X-Wing pilot, but still… it speaks to me. Check out Mike’s other awesome LEGO Star Wars minifig creations in his Flickr photostream. Thanks to Brothers Brick for the find. Find Star Wars LEGOs on Ebay! i always thought porkins was criminally neglected by the bazillion star wars spinoff ‘novels’ out there. Where did he come from? What was his first spaceship? How does such a rotund man fit into an X-wing?